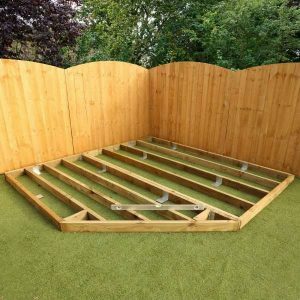 When installing a new garden building or shed, it’s important that you have a level and square base in place. Ignoring the need for such a base could lead to structural and stability issues. At Sheds to Last, we have quality portabases that are perfect for every building you want to set up. Our portabases safeguard your building from the moment we deliver and mount. 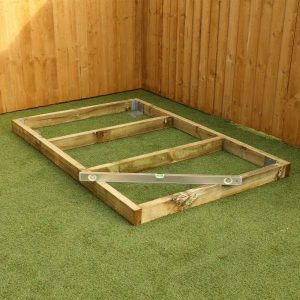 They are the perfect anti rot and anti damage bases you can purchase. Our portabases are made from quality pressure treated wood. They are easy to assemble and the affixed steel spikes hole them in place. 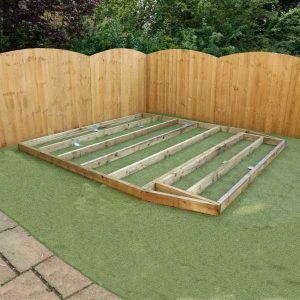 You get the ideal raised platform that helps you avoid challenges associated with uneven or sloping surfaces. What’s more, you don’t have to spend money preparing concrete bases or slabs. What Makes Portabases from Sheds to Last the Best? Our portabases are cured and pressured treated. This means they are moisture and termite resistant. We make sure that you don’t incur additional cost from go. Sheds to Last portabases make sure that your building is stable. Choose our portabases and enjoy fast assembly and we will provide a range of sizes. The portabases are ideal if you don’t want to set up your own base and they are suitable for buildings in areas with high humidity levels.